I am thankful for being able to hike in such a beautiful place on Thanksgiving Day. 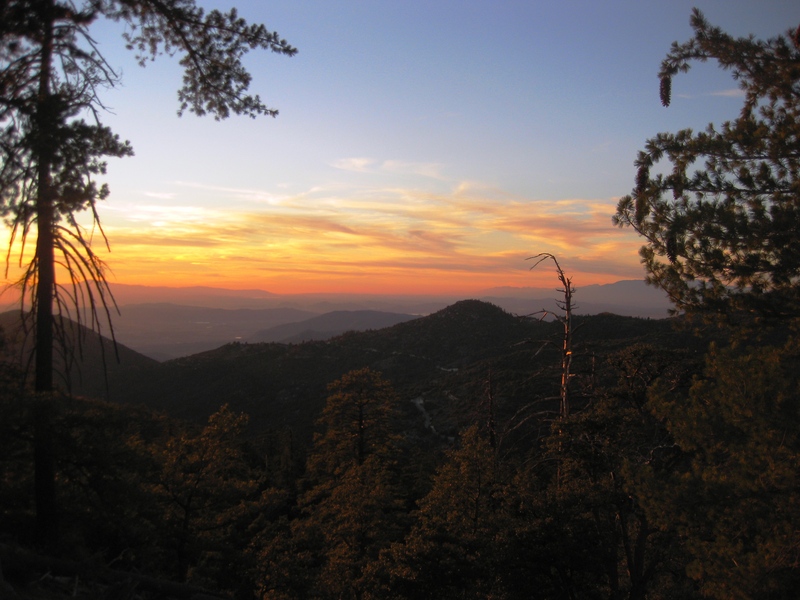 ﻿﻿﻿﻿San Gorgonio. That’s where we want to be on Thanksgiving Day. So to prep for that hike I wanted to do something strenuous. 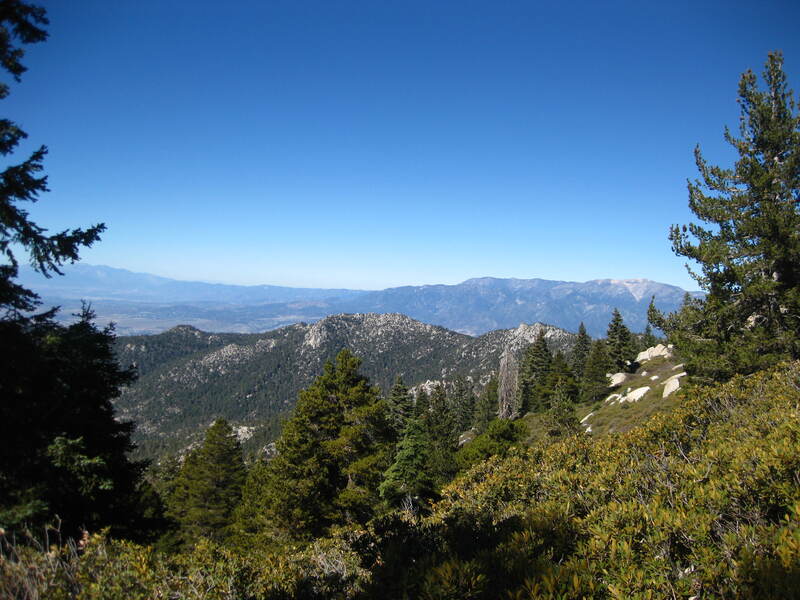 I had never approached San Jacinto from the Marion Mountain Trail and a couple of friends told me that it was steep and more strenuous than the approach from Humber Park. 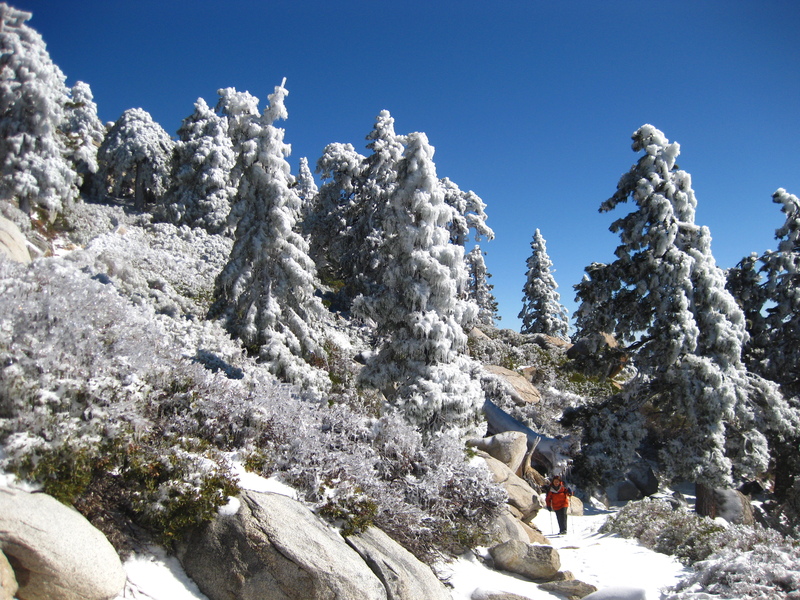 We left San Diego a little after 6:30am on Saturday and reached Idyllwild around 8:30am. We picked up a permit at the ranger station and drove to the trail head. There were only about 4 other cars at the parking lot which lead me to believe that this trail probably doesn’t get much use. We started are ascent around 9:00am. My thermostat read 50, but we warmed up quickly. The description I read of this trail is true; it’s shaded with pine trees and steep. We spotted ice in a few areas and even took pictures of ice formations on the stream. 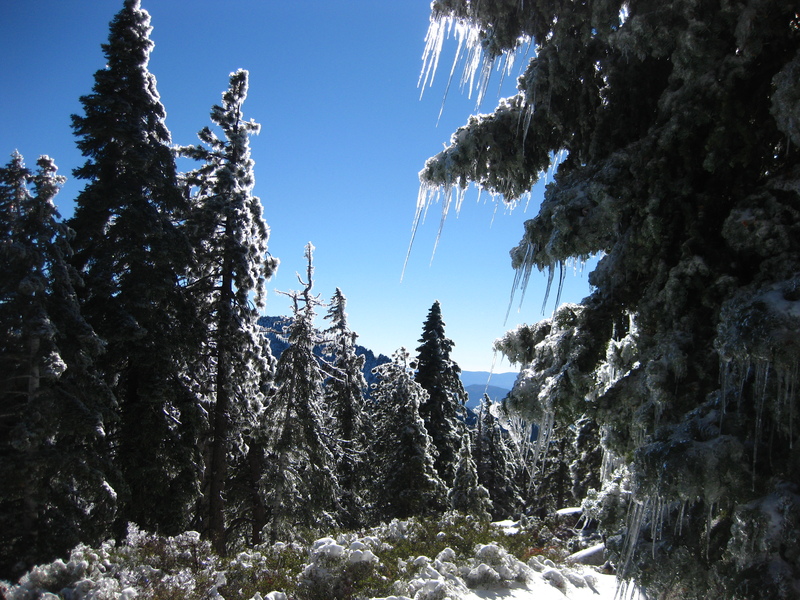 Thankfully, no crampons were necessary. When we reached the junction to the peak, my mom decided that she did not want to go to the top as it was usually crowded. So we took a break just below the hut and then headed back down. And we made it back for a beautiful sunset! Yes, this trail gives you a good workout, as my muscles were feeling it the next day. I strongly advise stretching after this hike. 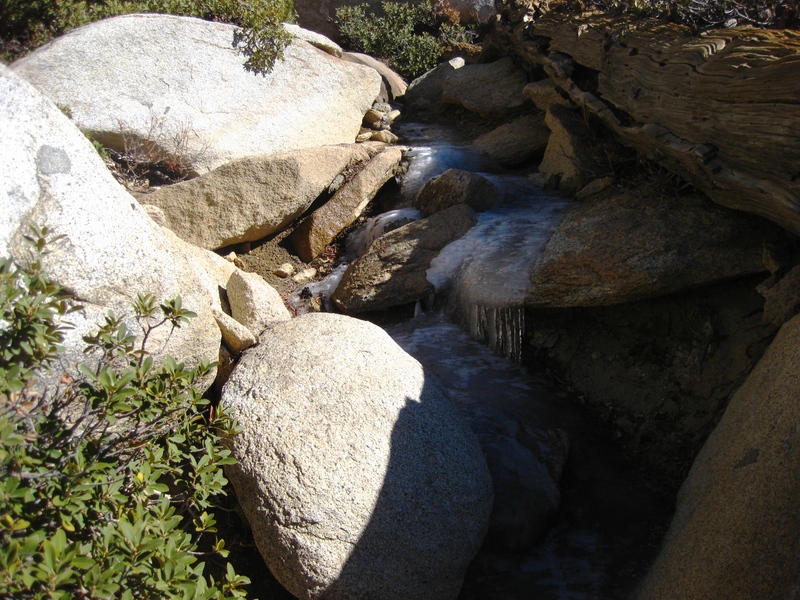 If you want to avoid crowds when going to San Jacinto, then this trail fits the bill. ﻿﻿﻿﻿I know, it’s been a while. Haven’t been able to do some long hikes because of car maintenance, bad weather, and a stubborn cold. Finally, on Halloween I was able to get out for a long walk. The weather was beautiful, warm and sunny after a storm quickly passed through San Diego County the previous day. 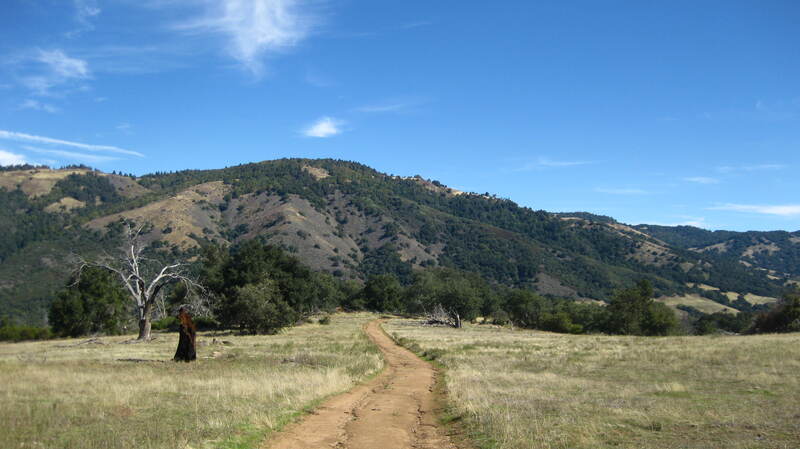 I felt like going to Santa Ysabel Open Space Preserve, one of my favorite spots near Julian. My mom and I arrived at the staging area on the west end of the preserve off highway 79 a little after 10am and started hiking soon afterwards. The first mile or so is a steep ascent and one quickly gets views of the town and highway below. 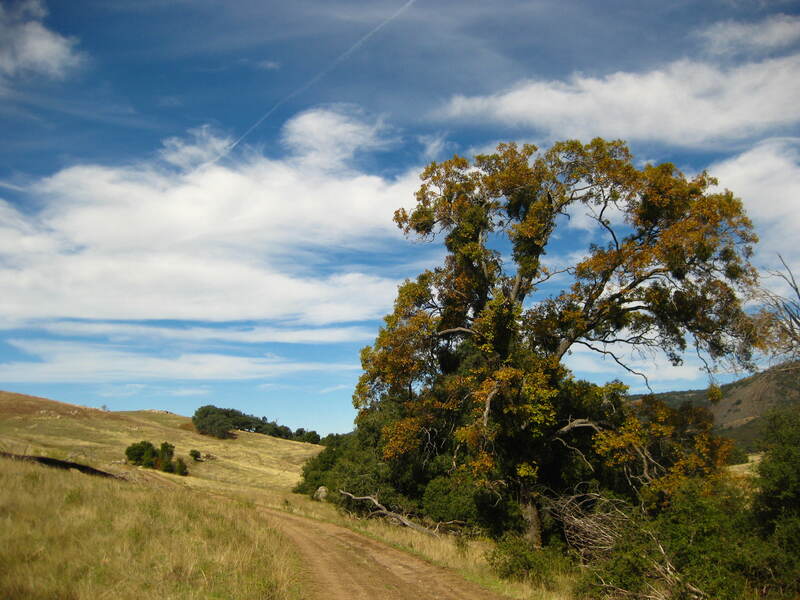 You pass manzanitas, California oak trees, and cows grazing on the rolling hills. I kept thinking of the “Great cheese comes from happy cows” commercial. After a couple of hours we took a snack break near a beautiful tree. We contemplated going down to the creek, but we needed to get back to San Diego to prepare for the trick-or-treaters. Overall, I highly recommend this hike. 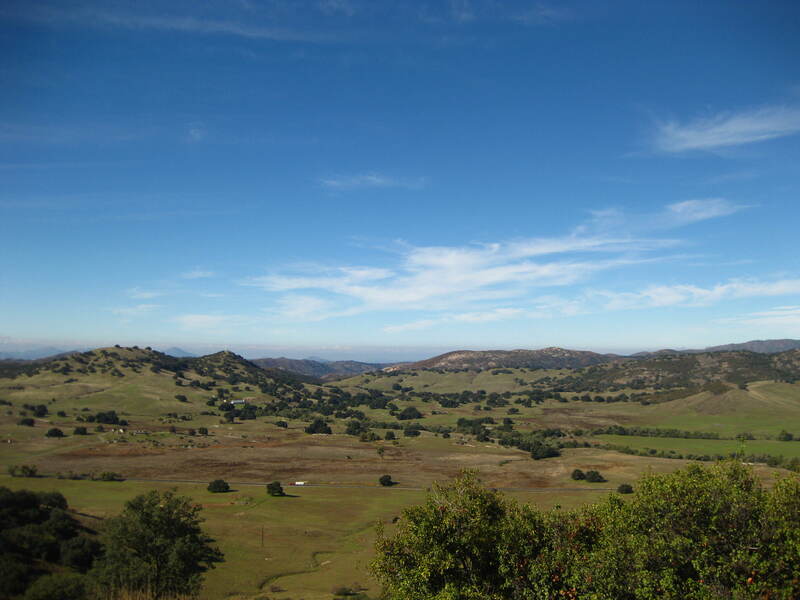 It’s not too far from San Diego, it has varied terrain, and you can stop in Santa Ysabel for some Dudley’s bread. Yum!